New Orleans Saints running back Alvin Kamara puts in some serious work during the off-season and it has paid off thus far in his young NFL career. 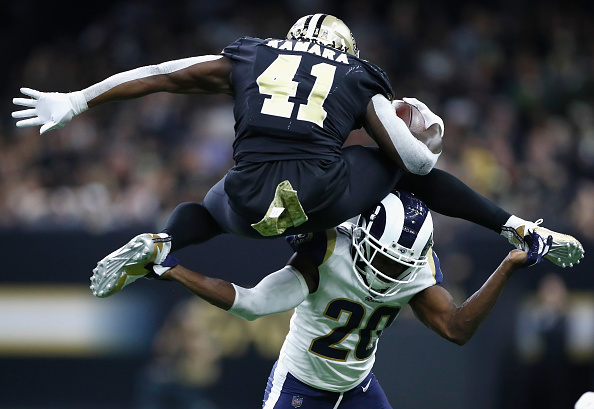 And it's not just lifting weights and running sprints that keeps Kamara at the top of his game. Effortlessly maintaining his balance on the body ball is one thing, but doing so while catching multiple objects AND grabbing the exact color that the trainer calls out? You're a wizard, Alvin! 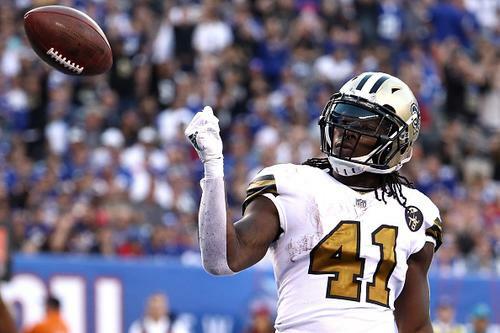 In his second seasons with the Saints last year, Kamara racked up 1,592 yards from scrimmage with 18 touchdowns in 15 regular season games. That was with Mark Ingram stealing some touches - and Ingram has since signed with the Baltimore Ravens, paving the way for Kamara to have an even bigger year in the 2019 season. New Orleans did sign free agent running back Latavius Murray, but Kamara will surely command the lion's share of touches in the Saints' high-powered offense. It's good to be Drew Brees.